With the new Supreme Court of Victoria family law orders in place and agreed we took the girls around to see their dad. They stayed for the night. Because Sandra had a wedding shower and Andrew has no drivers licence, we did both the drop off and pick up. On the drop off day, on the way home, we visited IKEA as we sometimes do. But this day was Anzac Day. The shops were generally shut and IKEA only opened at 13:00. I had been eyeing some restaurants in Clayton as we drove past. There is a little group of them on The Princes Highway and they looked good. We stopped and wandered around looking at the places. There are at least 5. Only one was closed. They all had cheese language specials up. Also a good sign. 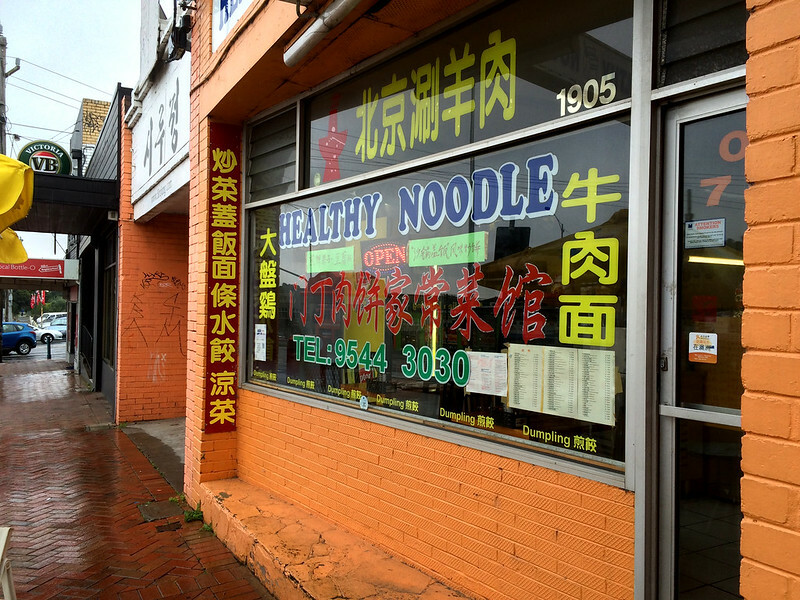 In the end: we kind of randomly selected the Healthy Noodle restaurant. It was a good choice. I had to ask for the Chinese menu (it has English translations) as the English menu was just standard suburban Chinese – South East Asian fare. I ordered the twice cooked pork and Mapo Daufu. The twice cooked pork arrived first. The quantity was ample and sufficient, but not large. This is good when you only have two people. It was thinly sliced pork belly and came with bitter melon (not very bitter) and black fungus. 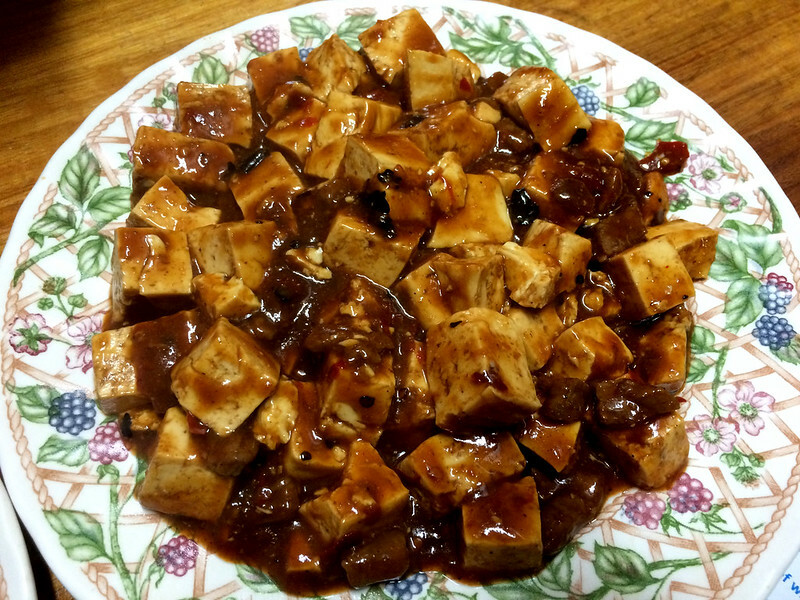 Next to arrive was the Mapo Daufu. 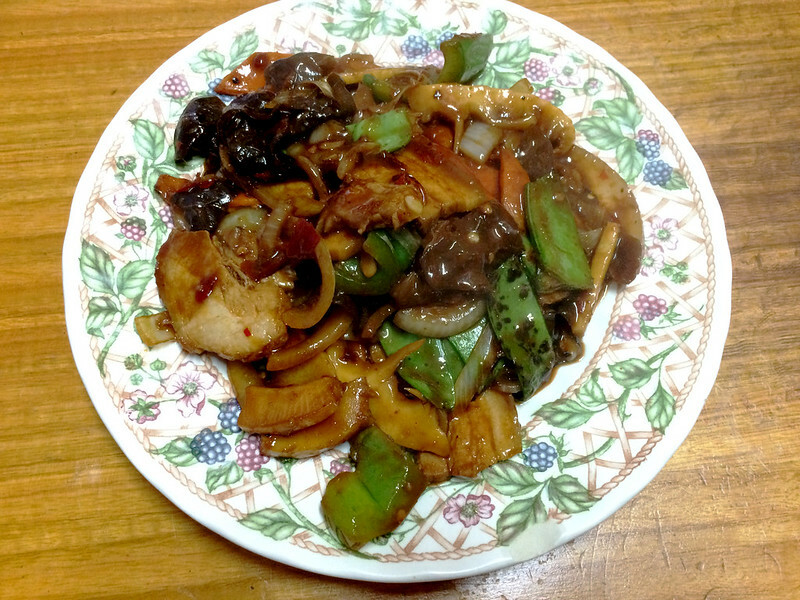 It was the Cantonese Style rather than the more normal Shanghaiese style. In the background a TV was blasting away with CCTV. I had my back to it, but found myself listening. Kirsten could see it and thought the bit on car crashes and a safety campaign were a bit hard to watch. After this we headed down to IKEA in Springvale. Bought some curtain bits and headed home.